UPDATE: Maxis Internet Value Plans is strictly for NEW subscribers only. Existing Maxis customers are not eligible to switch even if you’re bounded to any contract. This was also mentioned in their FAQ. We do not comprehend the reason behind such restriction on existing customers. However if you’re an existing Maxis subscriber, you still can get this plan by porting out to another telco and then port back to Maxis in order to subscribe to Internet Value Plans. Thanks to Nicholas for highlighting at the comments! Change of rate-plan from other existing postpaid plans are allowed but only applicable to customers who are on a basic line without supplementary lines (Friends & Family benefits are not applicable under this rate plan). 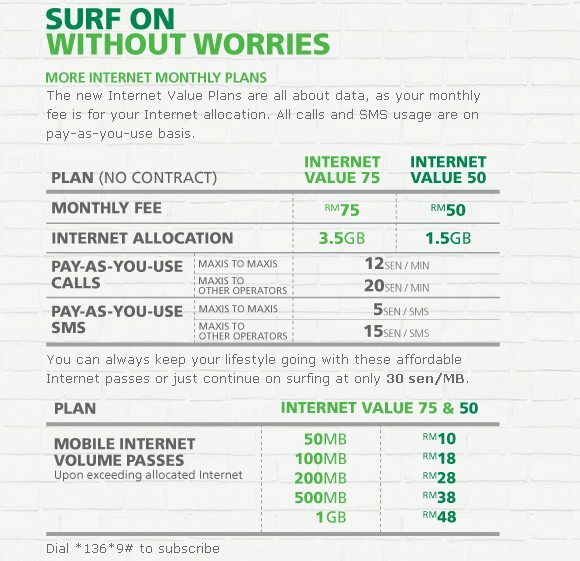 For those that uses data more than making calls and SMS, Maxis now introduces new Value Internet Plans. This is a mobile internet focused plan that offers more data than its earlier introduced Value Plus Internet plans. There are 2 main options to choose from – Internet Value 50 & 75 which comes with 1.5GB and 3.5GB respectively. Calls and SMS are not included and they are charged based on pay per use basis. Calls within Maxis network are charged at 12sen/min while calls to others are at 20sen/min. For SMS, it is 5sen/SMS within Maxis and 15sen/SMS to other networks. Any additional data usage exceeding your quota is charged at 30sen/MB. If you do exceed, you also have an option to buy additional quota at lower rates. 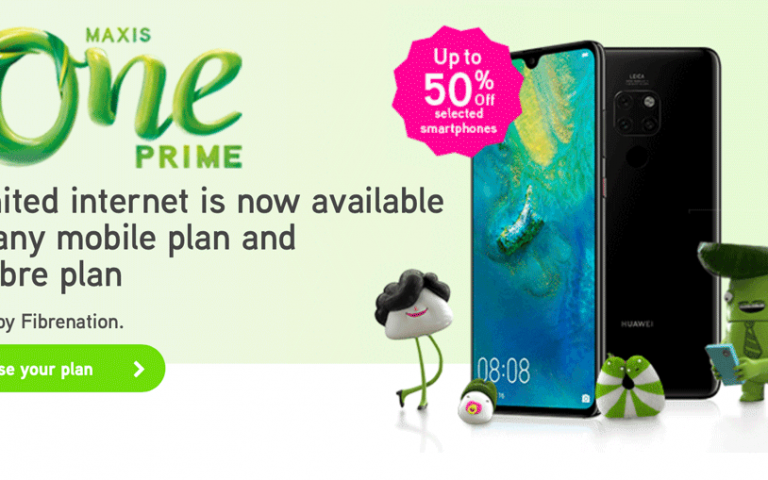 In addition for greater savings, Maxis is offering a 12 months contract Value Internet 48 plan where you can the same rates and data quota of Internet Value 50 at only RM48/month. Apart from the RM2/month savings, they are offering additional 500MB quota for this plan at just RM5 for 2 weeks which is about RM10/GB. Depending on your usage and if you hardly make calls and sms with your smart phone, this would be a plan worth considering with its competitive pricing. For those that doesn’t use as much data with a balance mix of phone calls, there’s the Maxis Value Plus Internet which comes with data, calls and SMS. For more information, head over to Maxis Mobile Internet page.